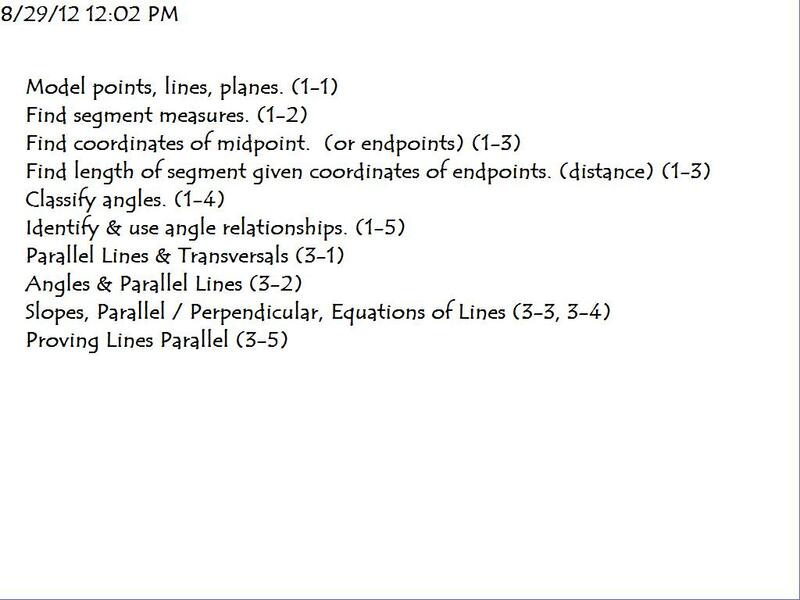 Practice with Angle relationships & using angle measurements. 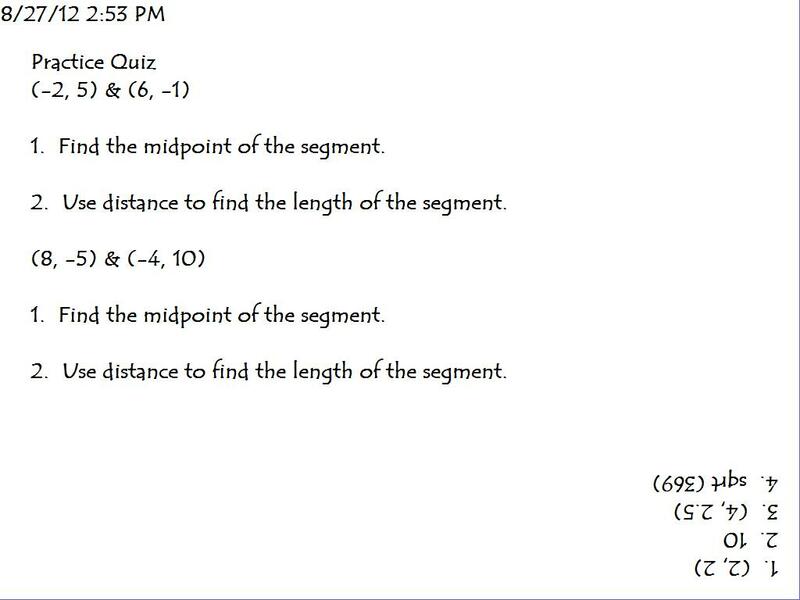 Questions – discussion over ANY topic (Review) – Cumulative Assessment Friday. School Map Assignment – complete all parts you can. I will answer questins in class Thursday. 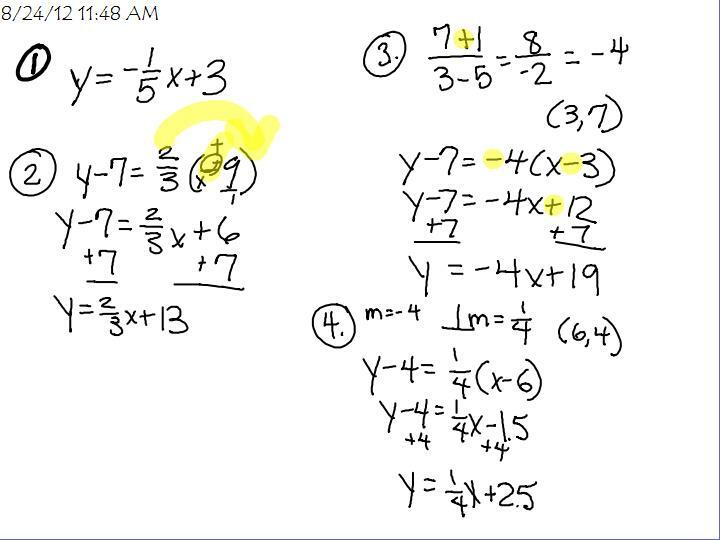 *Love this question – if you average your x’s & y’s to get the midpoint of a segement. 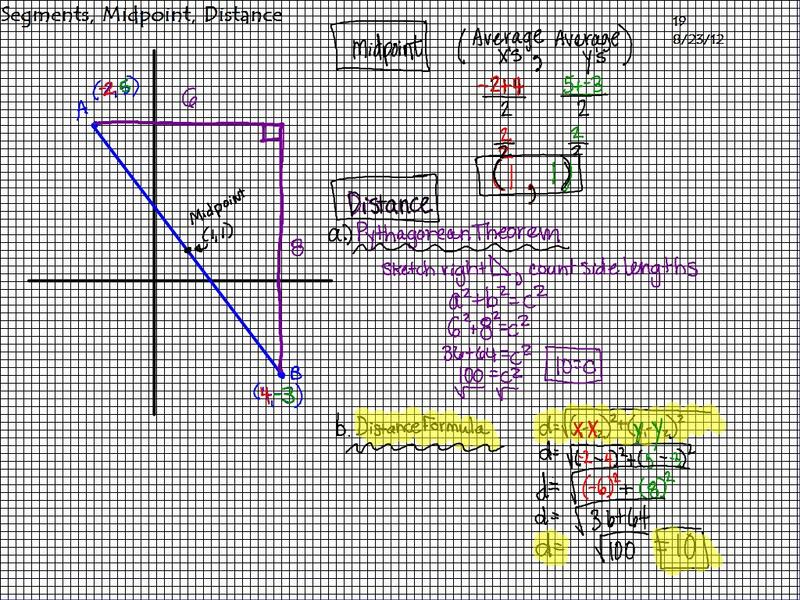 What if you average your x’s & y’s for a triangle: Will that give you the “midpoint” or center of the triangle? 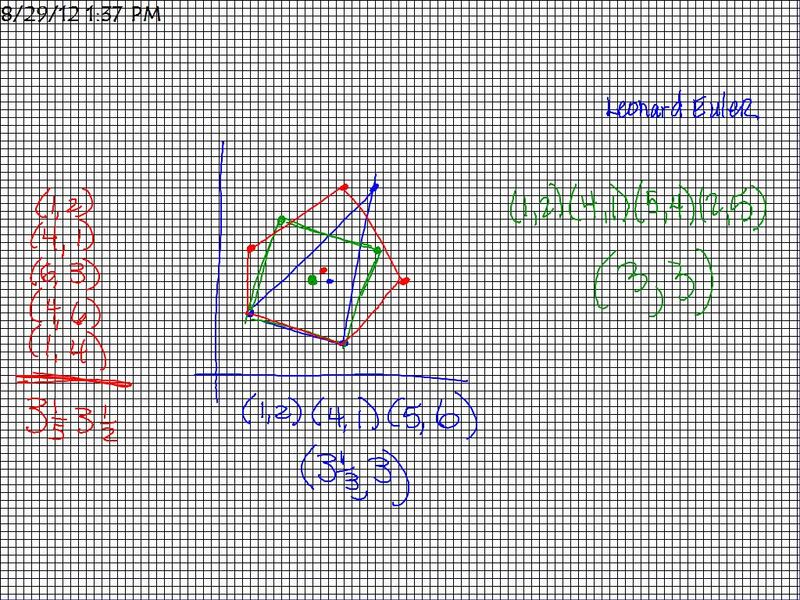 Vertical line test on a functions graph. Practice / discuss. 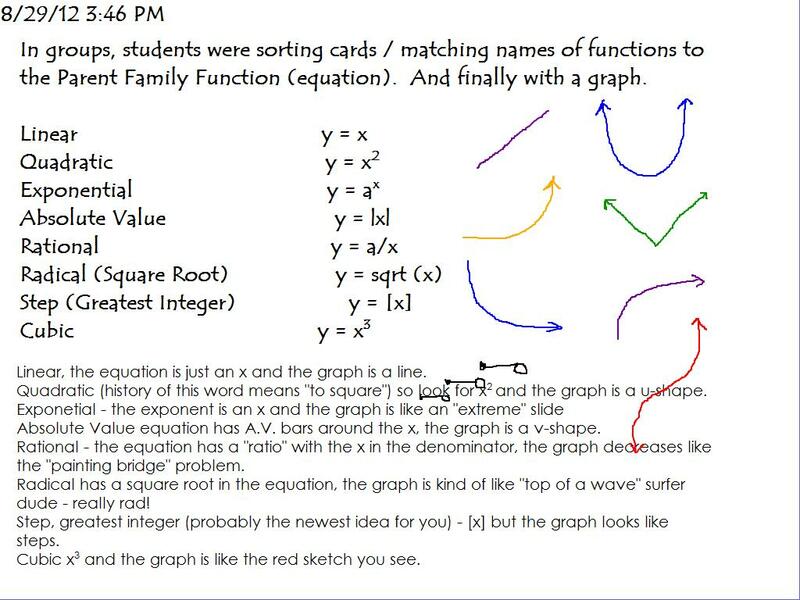 Small Group Sort – / Matching – Function Names & Equations & Graphs – be able to recognize a function and know its name when you see its equation and tell what the graph should look like. We are currently using this as our bellringers. Each day students share answers / strategies to 4 problems focusing on a different content / concept each day. There may be some typos / questions. If you are interested – see me for answer keys. Completed small groups – card match Functions & Real-Life situations. Students are turning in their real-life videos/stories with graphs. 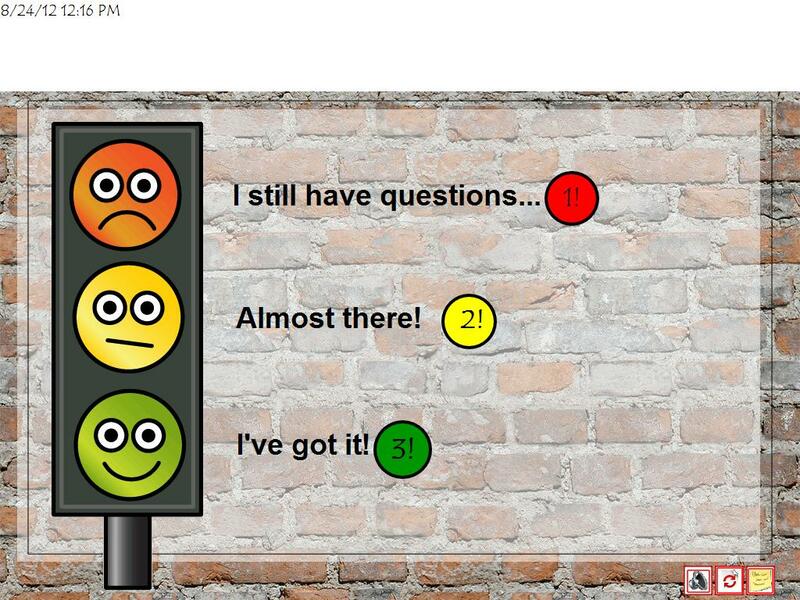 Tuesday 8/28/12 Suicide Prevention Awareness; Analyze Practice ACT scores. 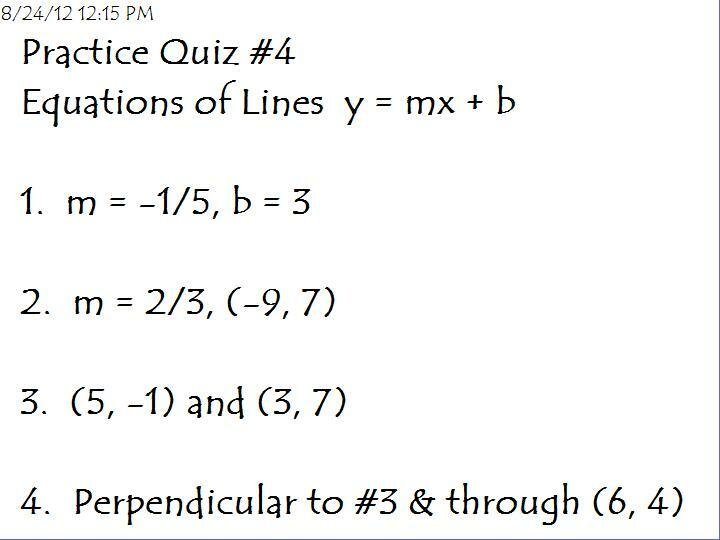 Practice Quiz #4 Equations of Lines (Parallel & Perpendicular) (Self check & place into Green/Yellow/Red folders). 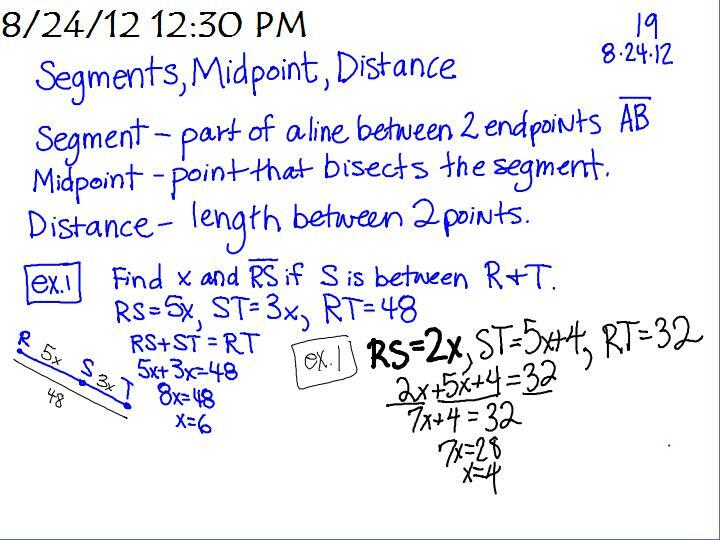 Monday – will complete notes & assign in-class practice.